Historical-Performance Ensemble founded by gambists Ken Perlow, Phillip W. Serna & Russell Wagner. The 17th century was filled with dramatic political and artistic turmoil in the Polish–Lithuanian Commonwealth. From the Dresden-influenced Chapel Royal in Warsaw to the rise of Poland’s own native masters, instrumental music began its ascension as evidenced through the viola bastarda compositions of Adam Jarzębski. Beginning his career at the court of John Sigismund, Elector of Brandenburg in Berlin, Jarzębski would become a major musical figure in the courts of Sigismund III Vasa and Władysław IV. Examining this unique and virtually unknown repertoire, the Spirit of Gambo presents a virtuoso program of music from Jarzębski’s 1627 Canzoni é Concerti. 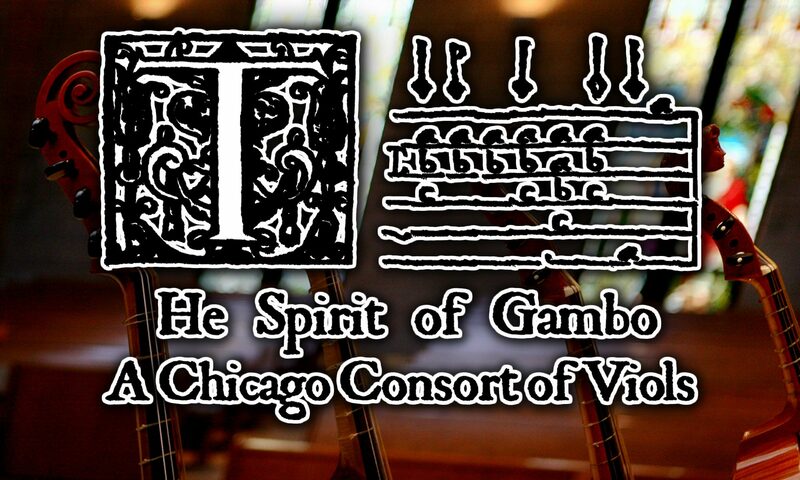 All website content © 2006-2019 The Spirit of Gambo - a Chicago Consort of Viols. All rights reserved. Web design by Phillip W. Serna, & proudly powered by WordPress.